thrilled to have you in. have fun in the rally. This was so touchingly beautiful. So lovely–your memories. Thank you Gemma for your very kind words. Thanks for ending my year on such a lovely note! I have read some amazing poetry today and I have to say that this should be among those at the top of the list. The beauty of nature accompanied by the tender story of a dog loved and lost. So many emotions…it just doesn’t get better than this. tone, diction, imagery — all splendidly work to create this stunning, moving piece! An excellent and emotional piece. I enjoyed this greatly. this is art. loved every line. especially studying the beauty part. 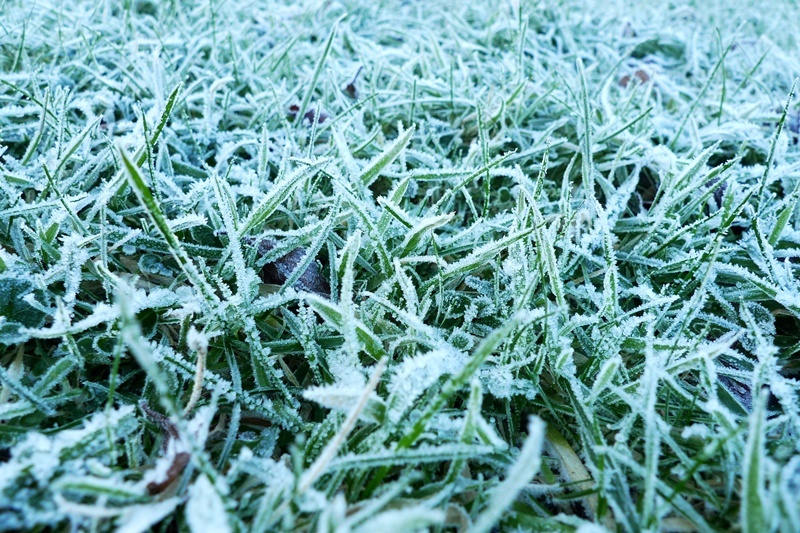 Too often I’ve felt like a frozen blade of grass! So glad you enjoyed this. I hear you’ve been enjoying your garden for the last 2 days. Well Done! absolutely exquisite friend. beautiful poem. Thank you, hush moon. I’m so glad you enjoyed it. This is one of the most best imagery I have seen in writing 🙂 I really love it! Thanks, Lucky! Images always speak more than ideas. That is beautiful and touching. It really pulled at the heartstrings. you’re a great writer! thanks for sharing! Thank you, Ms Peaches. Love that name. I look forward to visiting your site. beautiful imagery and a lovely tribute to a beloved pet. Thank you, lola mouse. I loved your flash fiction. I tried to comment but it wouldn’t take. I’ll try again now. The image and the poem are awesome! Thanks for sharing. “Crystal-dusted shrubs” “memories”… I melt into your images…. Thank you, Barbara! I can’t thank you enough for posting the link to the website with the birdsong on your blog. I have added it to my favorites – a wonderful way to lift the spirits and enter the woods when I’m stuck at my desk writing to deadlines. What a lovely gift. When I finish this manuscript at end of Jan, I look forward to visiting your pages, sitting down with a big pot of tea, and treating myself to a lovely long read. As I read these lines, your poem handpicked a childhood memory from the depths of my brain of the winter day my father told me I was too old to hold his hand. After Dad died, he confirmed many times that he was with me now. Still holding my hands, still looking out for me when all those years, I thought he hadn’t cared. I’m sure your Dad loves the way you write and turn words into magic. Thank you for this. It truly touched me! Beautiful and sad…but somehow, not sad. I was waiting for you to lie down and make another angel, but the shrub shadow was amazing. Thank you. beautifully written yet most bittersweet … love the imagery painted! Thank you for your comments; I visited your site and I love the invitation to comment on your art – I will go there tomorrow when I’m fresh and give you my reactions; What a wonderful way to engage people in the creative process!! Thank you for visiting and leaving your first comment. I am delighted you wish to return … you are most welcome to – anytime!! Have a great night! Many blessings!! Thank you, my friend, for walking on frost beside me.